Villas on the green an adult 55 plus gated community; Well Maintained neighborhood with low fees and lots of amenities. Neighborhood heated pool and hot tub plus cabana for residents. Plus community pools, fitness center, tennis, playground and more. Maintenance fee covers exterior paint, basic cable, and maintenance free lawn care. In addition, there is a beautiful golf course and other activities including bingo poker, bunco, and more There is so much to do in this growing neighborhood which is close to all your shopping needs. 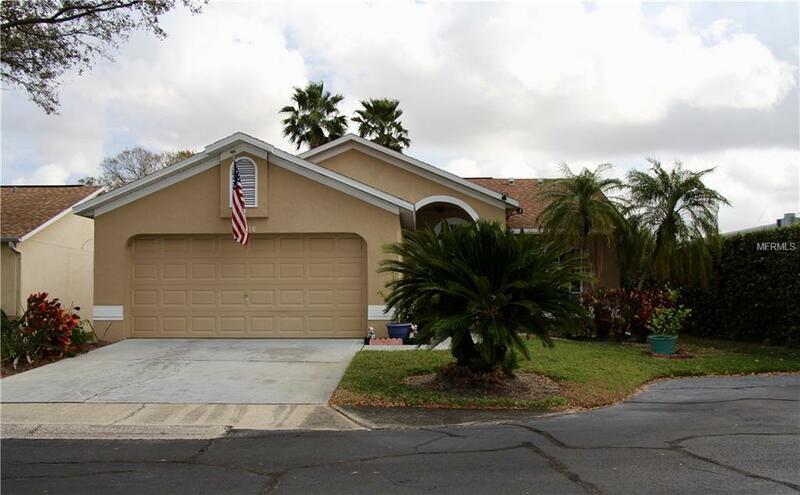 and conveniently located close to St Pete beaches and the city of Tampa Bay. Hurry homes in the villas sell fast. And the beautiful covered bamboo floors are a must see.